THE RESULTS OF FIVE YEARS OF focus on mental health and wellness are readily apparent across Ontario’s school system. 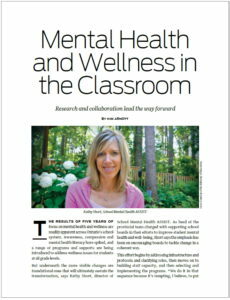 Awareness, compassion and mental health literacy have spiked, and a range of programs and supports are being introduced to address wellness issues for students at all grade levels. But underneath the more visible changes are foundational ones that will ultimately sustain the transformation, says Kathy Short, director of School Mental Health ASSIST. As head of the provincial team charged with supporting school boards in their efforts to improve student mental health and well-being, Short says the emphasis has been on encouraging boards to tackle change in a coherent way. This effort begins by addressing infrastructure and protocols and clarifying roles, then moves on to building staff capacity, and then selecting and implementing the programs. “We do it in that sequence because it’s tempting, I believe, to put programming on the ground. But what the research shows is that if you do that in a piecemeal way, it’s unlikely it will be sustainable over time, and it will benefit only those lucky enough to be in those initial pilots,” she says. 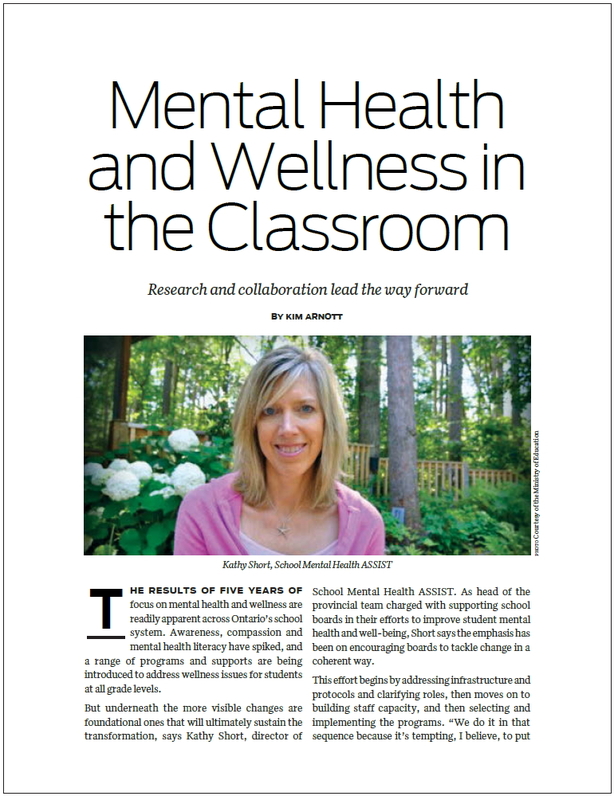 Read more on Education Today Features School Mental Health ASSIST.